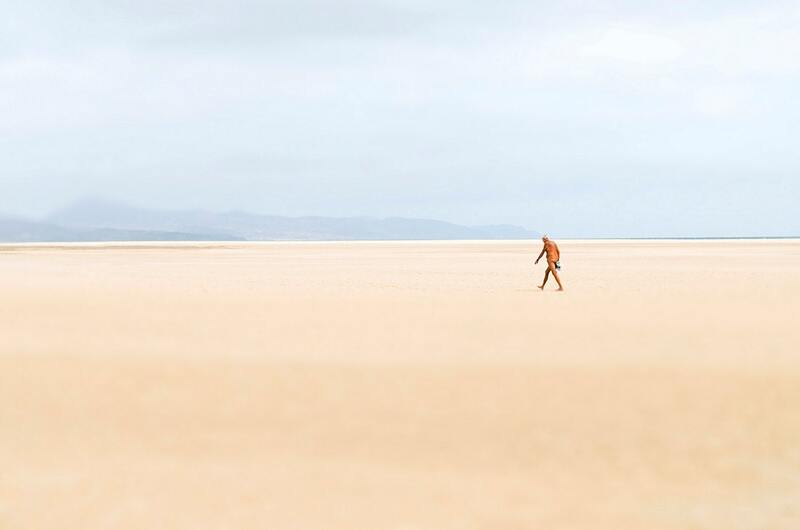 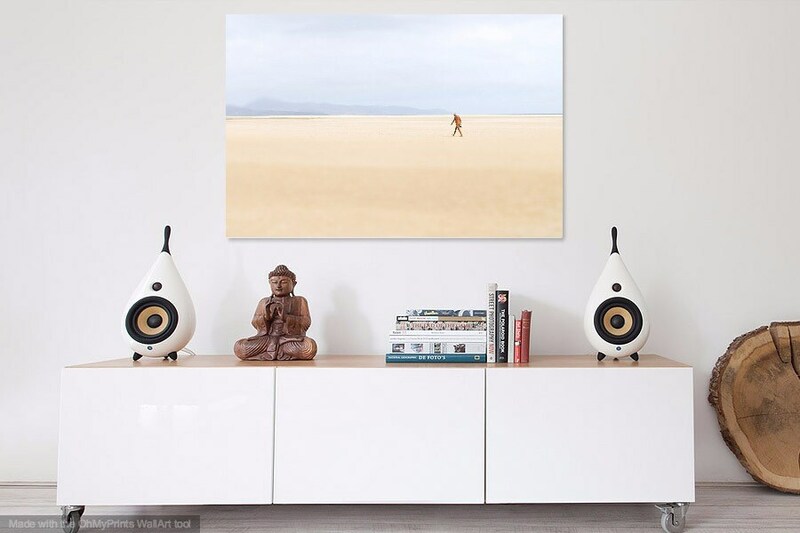 An unusual photographic print of a solitary male naturist walking along a vast empty beach on the Island of Fuerteventura in the Canary islands, Spain. 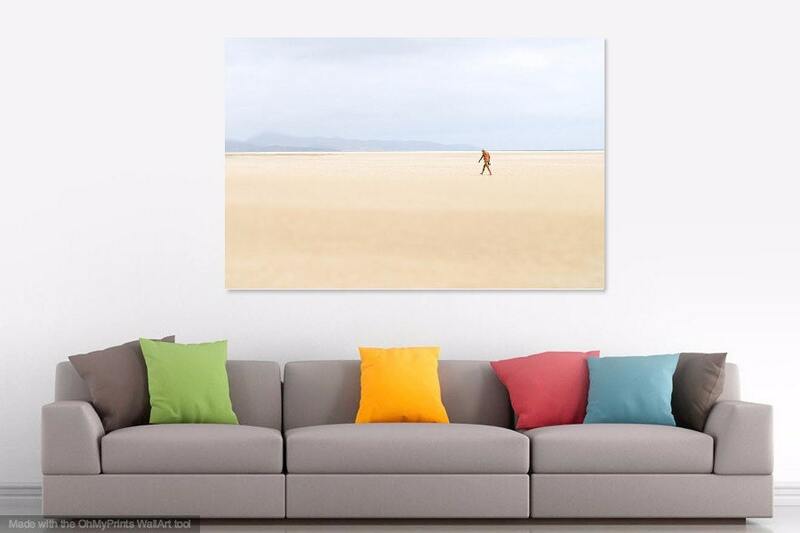 This image won the 2009. 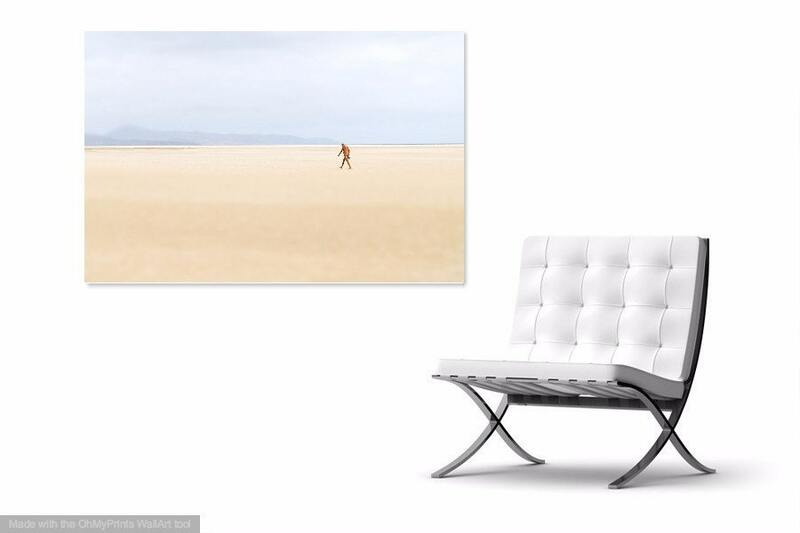 Runner Up Award in The Professional Photographer Magazine's Photographer Of the Year Competition / Contemporary Art Category in the UK. 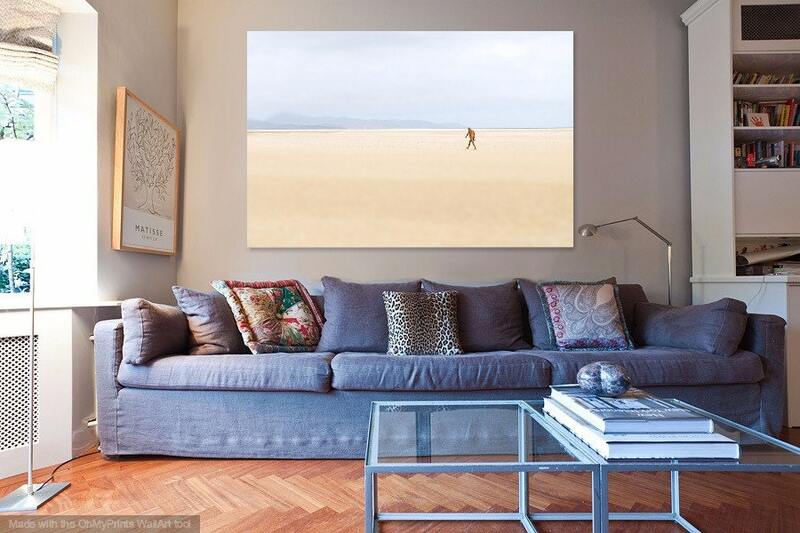 Print has a 4mm white border to enable easier matting.